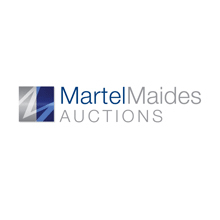 Martel Maides are an independent auction house located in a prominent position in the heart of St Peter Port, Guernsey. We have unrivalled local expertise with an international reach. Trading in the Channel Islands for over 30 years, our success is built on tradition and enhanced by forward thinking, and the use of modern technology which gives us a fundamently strong core of expertise to enhance your auction experience. With an admiration for art, respect for our clients and commitment to confidentiality and integrity, our professional team are here to provide a friendly and efficient and service. Martel Maides approachable team believe in delivering exceptional client services - we are dedicated to establishing and nurturing long-term reciprocally beneficial relationships. Our trusted specialists have a wealth of professional and academic experience, combined with their recognised local knowledge and extensive national and international network, which all provides a comprehensive first-class valuation and consultancy service designed to suit the clients whether they be individuals, corporate bodies or legal advisors.